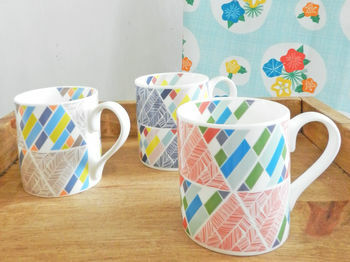 Annabel Perrin is a surface pattern designer with a vibrant, mid-century modern range of homeware. Her bold and graphical patterns are available on furnishing fabrics, home accessories and ceramics. The eclectic collection is guaranteed to liven up your home. British locations and landmarks inspire Annabel’s designs. She focuses on the aesthetic appearance of architecture, the structures, patterns, outstanding features and light reflections. However, the stories and memories behind each landmark also intrigue her. Annabel's mid-century colour palettes are also distinctive of her style. All products are lovingly designed and made in the UK, and are produced in short run supply to guarantee customers exceptional quality and a unique product for their home. Each item is designed to be enjoyed beyond the latest trends and to brighten up living rooms for years to come. 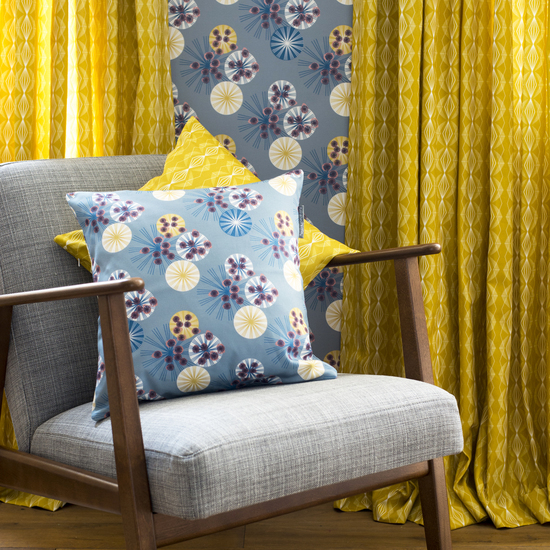 Annabel's collection includes fabrics, wallpaper, cushions, lampshades, kitchenware, and stationery in an array of eye-catching colours and patterns. Designing for homeware has always been Annabel's passion and she is delighted to transform her cheerful patterns into desirable accessories for the home. 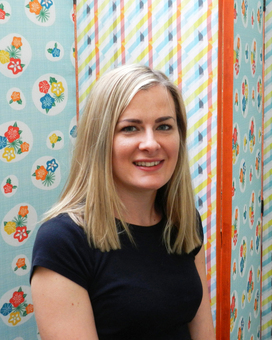 She combines hand drawn illustrations with CAD to develop her designs, which are then digitally printed onto heavyweight cotton and wallpaper by reputable manufacturers in the UK. Not only is her fabric available by the metre, but it is also crafted into quality products by local businesses or by Annabel herself. She has a degree in Textiles and an MA in Design from Manchester School of Art. "Beautiful tea towels! Well made, appear just as the photo shows and wash well. Thanks very much!" "Love this fabric!! Very nice communication and fast shipping! Thank you"
"Just beautiful - carefully wrapped. Love the design." 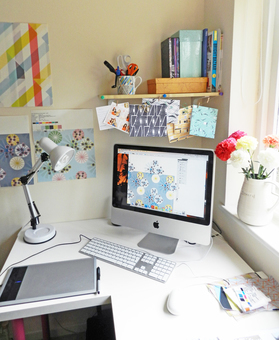 "Gorgeous quality and a lovely gift"
"Annabel Perrin, Queen of the prints! If you haven’t come across any of Annabel’s designs before, then you’re missing out. Featuring vibrant shades and graphic shapes, her homewares are right on trend and affordable, too. What’s not to love?" "Annabel Perrin’s motifs have the feel of midcentury design, but with the colours tuned to suit contemporary taste." "And for bright, colourful soft furnishings that are made in the UK, check out Annabel Perrin's beautiful printed cushions and accessories. All her fabrics and wallpapers are printed by UK manufacturers, while she handmakes many of her 'mid-century modern' home accessories herself. "